This bestseller now features four additional poems (75, 83, 92, and 107), and an updated bibliography. These additional poems all expand the elegiac selections about Lesbia. 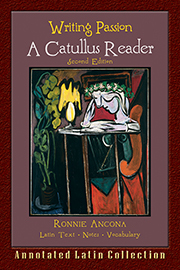 For those who want a little more spice in their Catullus and love the style of this book, a supplement Writing Passion: A Supplement containing poems 6, 16, 32, and 57 is available.